A tomb is a large vault where important people are laid to rest. They are heavily associated with certain cultures, like ancient Egypt. But there are mysterious tombs all over the world, many of which surrounded by ancient mysteries and deadly curses. In fact, many mysterious tombs aren’t that old. They aren’t all thousands of years old – there are tombs being built all the time. 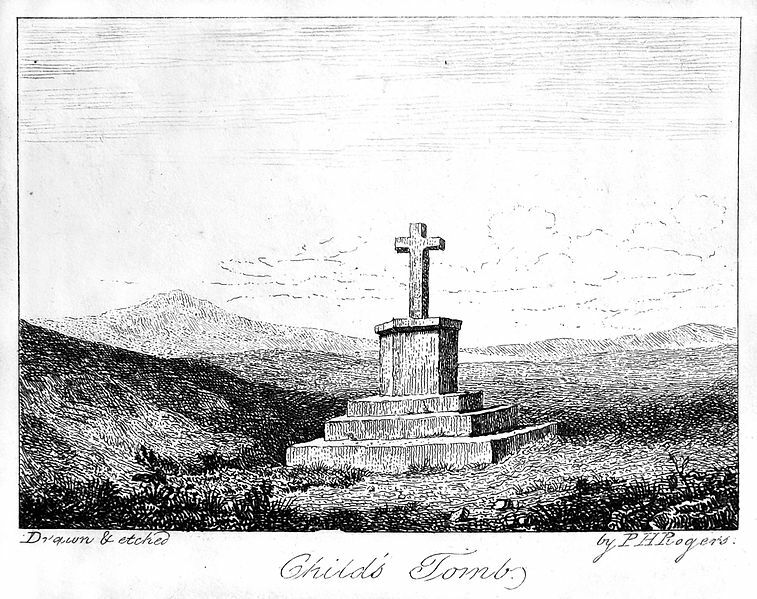 Here are the 10 most mysterious tombs. In Egypt’s valley of the kings, KV62 is the tomb of Tutankhamun. He was a pharaoh before dying at the young age of 19. His tomb is much smaller than you would expect for a pharaoh, and it had much less artwork inside. But radar scanning has recently discovered a hidden chamber within the tomb. Metallic and organic materials were detected within the hidden chamber, although it’s not yet been searched. The tomb has long been associated with a curse. According to rumor, an ancient tablet was discovered inside the tomb. They say the tablet warned that death would come to those who disturb this tomb. But this warning was ignored. Within a few years, many involved in examining the tomb died mysteriously. The media soon connected these deaths to the curse. By 1935, newspapers had connected 21 deaths to it. 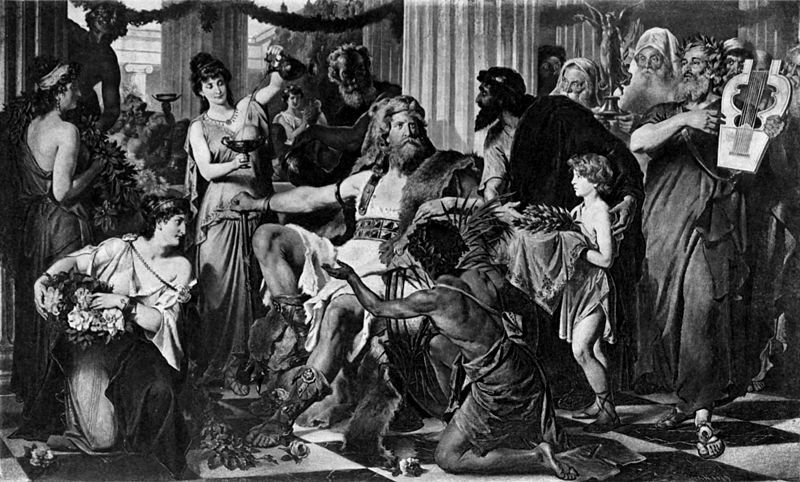 In 410, Rome was sacked by Visigoths. They occupied the city for three days of chaos before escaping with all the gold they could carry. They were led by king Alaric, who died shortly after. According to legend he was buried with 25 tonnes of gold. Everyone who knew the location of his tomb were murdered. So if the legend is true, there is over one billion dollars worth in gold still hidden in king Alaric’s tomb. Italian historians are currently searching for the tomb. And the Nazis also searched for it in 1937. As far as we know, they didn’t find it. It may just be a myth. But the Italian government is a bit strapped for cash right now so they don’t mind treasure hunting. Four years ago an ancient tomb was discovered in Greece. It’s inside a mountain long associated with legends, and it’s only entrance is guarded by two marble sphinxes. 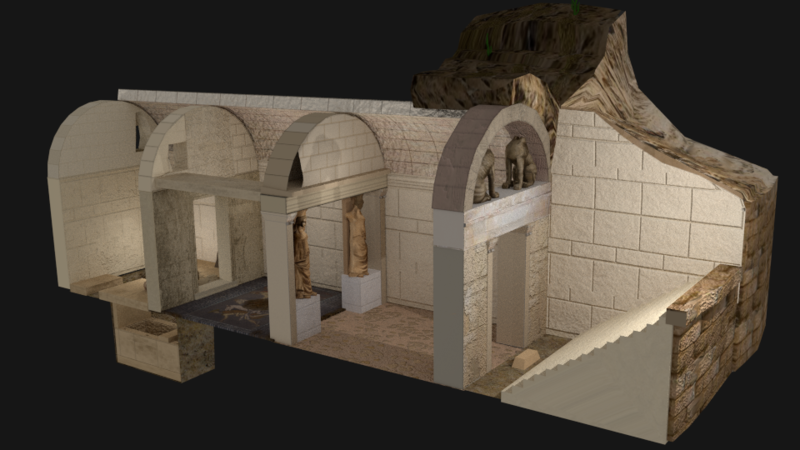 Five skeletons were found inside the tomb, which was build during the 4th century BC. No one knows who these people were and the tomb was originally thought to be Alexander the Great’s, but that now been ruled out. It likely belonged to a royal family forgotten by history. The tomb’s marble floor shows heavy usage, as if it was stepped on by thousands of visitors. It is also the largest tomb ever found in Greece. Clearly, the people buried there were important. Qin Shi Huang was the first emperor of China. To suit his position, his tomb is hidden underneath a huge man-made mountain. 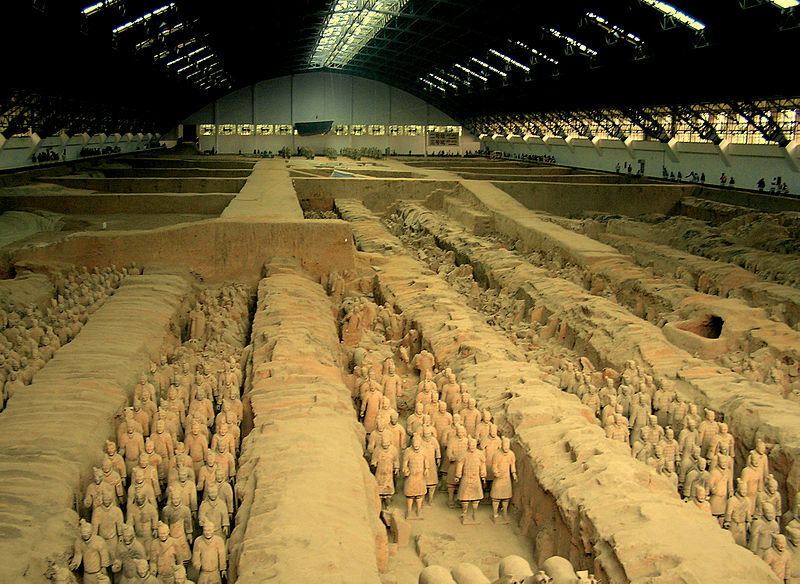 Also under the mountain, his tomb is guarded by eight thousand statues of imperial soldiers. His actual tomb hasn’t yet been excavated as the Chinese government doesn’t believe technology is yet able to take on such a task. The tomb is literally surrounded by an underground palace – a palace discovered by local farmers exploring an old well. The emperor believed that the ghosts of his enemies might come for him when he dies. That’s why the imperial statues are guarding his tomb. Before his death he became obsessed with achieving immortality, employing several alchemists. It didn’t work though. Greek mythology told of a powerful king able to turn anything into gold just by touching it. He was given this power from the gods after wishing for it. But forgetting his new power, he accidentally turned his own daughter into gold. No one really believes this story is true. But he is thought to have been a real person from history. In 1957, a three thousand year old tomb was uncovered in Turkey. The excavation team called it ‘King Midas Tomb’ as it’s a royal tomb built around the time of his death. The tomb is currently thought to be either his or his fathers. I’m not sure why they’re being so specific about characters from Greek mythology. And there wasn’t even any gold found inside the tomb. And the corpse had a normal human skull, which is different from legend, in which he had donkey ears. In Ireland, there is a prehistoric burial mound called Newgrange. It’s actually older than the Egyptian pyramids and Stonehenge. 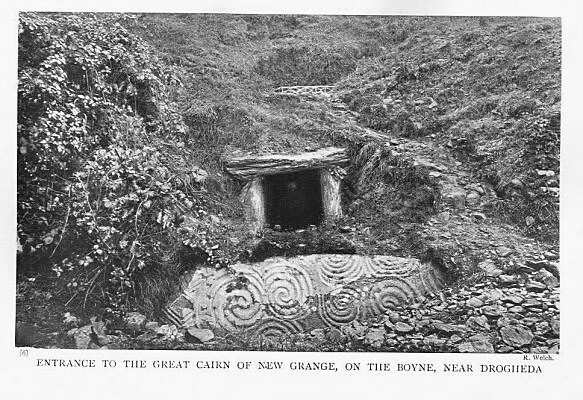 For hundreds of years, Newgrange has been featured in Irish folklore as a place of mystery. It was actually believed to have been built by goblins, but now we know humans created it. The mound was excavated in the late 17 hundreds – and at the time, it was thought to have been built by the ancient Egyptians. Some even put forward to idea that Ireland was once a colony in a huge Egyptian empire. The tomb inside the mound was sealed shut for almost 3 thousand years. When it was opened, the local Irish were afraid it was a gateway to another world. Rumors spread that evil goblins would immediately run out and kidnap children. Clearly this never happened. You’d be surprised by the amount of 10 Most mysterious tombs hidden deep inside ancient Celtic structures. In Barbados, there is a church tomb said to be either home to vampires or haunted by ghosts. In the early 19th century, three coffins were sealed inside the tomb. A few years later the tomb was opened for another dead body to be laid there. But the three coffins already in there had been moved. They were all in different positions. This is strange as the lead coffins were hard to move. And the tomb door was so heavy it took seven people to open. There was wild speculation over how the coffins were moved. Some believed the dead people were vampires who rose from the dead. Others blamed local slaves, saying they did it as a joke. The story is unverified as there are no reliable first-hand accounts of any of it. The tomb definitely exists though, it’s called Chase Vault. In southern England there is a several hundred year old stone cross built upon an ancient tomb. Much of the cross was destroyed in 1812 when local workmen took the stone blocks for their own buildings. According to legend, the tomb below contains the remains of a local hunter. The hunter died there after getting caught in a snowstorm. Local authorities declared that whoever found and buried his body would gain his land. This caused local villagers to desperately look for him. But in the end it was a group of monks who found and buried him. The legend was first recorded in 1630. We can’t be sure how old the tomb is, or who it really contains. 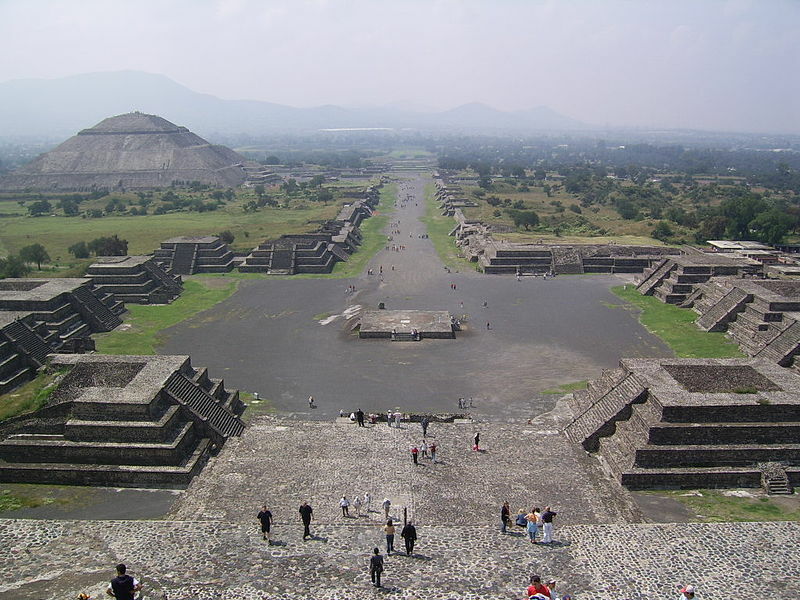 Teotihuacan is an ancient pre-Aztec city in Mexico. No one knows who built the city. It was discovered by the Aztecs after being long abandoned. Local historians are hoping to find an answer to the question of who built it soon though. Because underneath a pyramid, two large sealed doors have been discovered. The doors haven’t yet been opened but liquid mercury has been detected on the other side of the doors. This makes experts think a royal tomb is on the other side of the doors. Discovering a royal tomb might shine a light on how the city was governed – and on why it was ultimately abandoned. It’s possible that many more mysterious tombs are hidden within the city. Number one is an obvious choice – it’s the tomb of Genghis khan, the mother of all mysterious tombs. Genghis Khan was the notorious leader who took a group of nomads and founded the biggest empire of it’s time. In fact, the mongol empire became the biggest continuous empire ever. 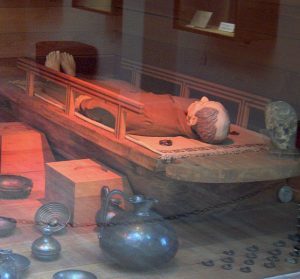 When Genghis Khan died, his body was buried in a secret location. According to legend, anyone involved with building his tomb was killed. And then the soldiers who killed those people were also killed. This continued for a while until no one knew anything about the tomb. 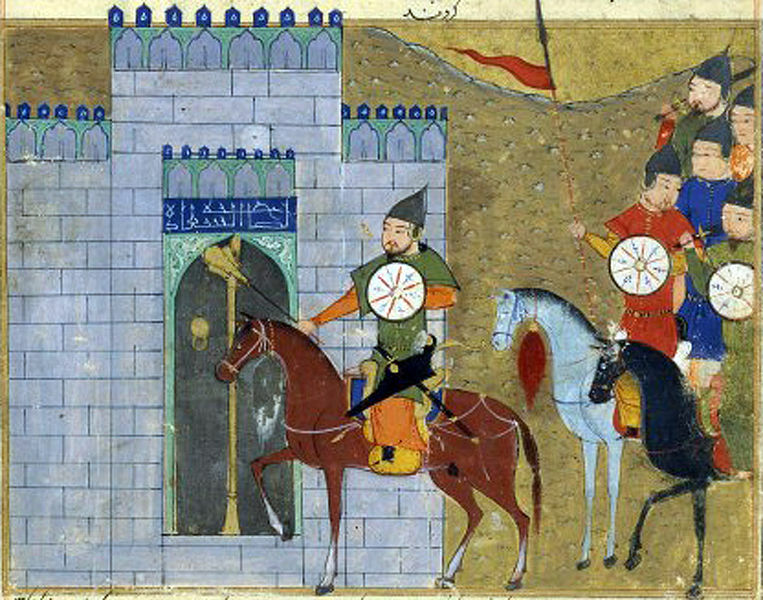 Eight centuries have passed by, and now people are wondering where the tomb of Genghis Khan is. The Soviet Union put a lot of effort into finding it. 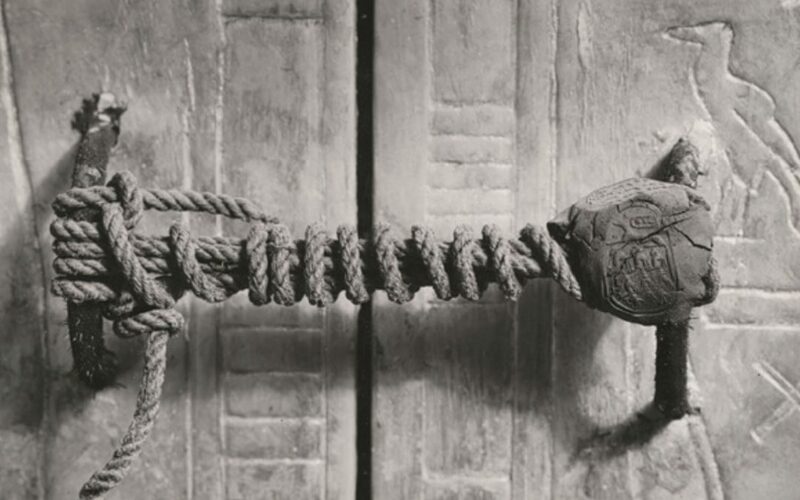 There is said to be a curse associated with the tomb. Apparently the ghosts of the slaves who built the tomb will murder anyone who discovers it.